Easter marks a shift in the history of the universe. It is the beginning of everything sad coming untrue. Where death and grief begin to unravel at the sight of the empty tomb. On March 31st, on the eve of Easter, we are gathering as a church to celebrate the victory of the resurrection of Jesus at Forest Hill Park at the Stone House. There will be a bounce house, an Easter egg hunt, and good food! I hope that you come and join us, whether you have family or not. And while that night will be full of fun, it pales in comparison to the joy we behold on Easter morning. This season of Lent has felt as long as it has familiar. In this world of already and not yet, grief over sin and repentance are easily within our reach. The promise of the resurrection however, can seem so elusive to us because it is a promise that is yet to be fulfilled. In some ways celebrating Christmas or reflecting upon the Cross of Jesus are easier because they are promises already fulfilled by God. But Easter’s promise is still yet to come in its fullest sense. So how can we best celebrate it together? First, we should realize that Easter is not merely a day, but rather it is an entire season. In the church calendar Easter lasts for 50 days! And that makes sense when you think about it. Why would we spend over 40 days in the season of Lent—which is marked by self-examination, repentance, and fasting—without spending even more time celebrating new life which is found in Jesus Christ and his resurrection? 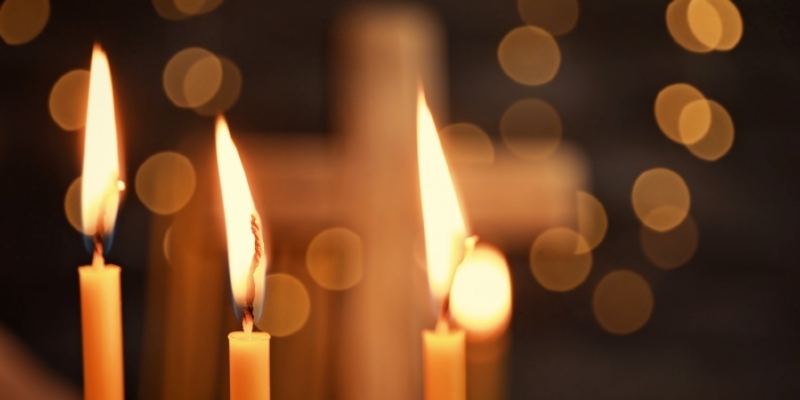 As a friend once told me, “It is easy to celebrate Easter for one day: with the nice outfits, lilies, and added brass to the worship team…but by the next Sunday we have usually moved on to our next topic or returned to our old routine. This is unfortunate because the implications of the resurrection—its explosive force—call for an extended period of exploration and appropriation. Easter cannot be done in a day.” How can you and I and our families lean into the truths of new life brought to us by Christ and his resurrection? Fill up balloons and put up streamers the night before after your children go to bed in your common spaces so that upon their rising they are greeted with great surprise! Make a big family breakfast and read the resurrection story from a storybook Bible or another translation. Don’t neglect the feast that is Easter. Come to the party on Saturday night at the park, but keep on feasting! Create some new family traditions on Sunday morning this Eastertide. Make a commitment with your roommates to host people at your house for feasts between Easter and Pentecost. We cannot let our self-reflection and fasting exceed our Jesus-exalting and feasting this coming season! Christ is our very life—let us make room in our schedules to celebrate!